Henri Hooft was born and raised in The Hague, Netherlands. He was an athletic kid who enjoyed competing in soccer. At the age of 15, he gave up the ball and developed a new passion for combat sports. He had trained with his brother in full contact Karate but found his biggest passion for kickboxing. Henri went on to live and train in Thailand while competing in the Netherlands. That’s when he met and married his wife and put together a dynamic record as a professional fighter. By successfully combining the best of Thai boxing and Dutch kickboxing, Henri created his own unique system. He competed in more than 89 professional kickboxing fights, 11 boxing matches, and earned both World and European Titles. 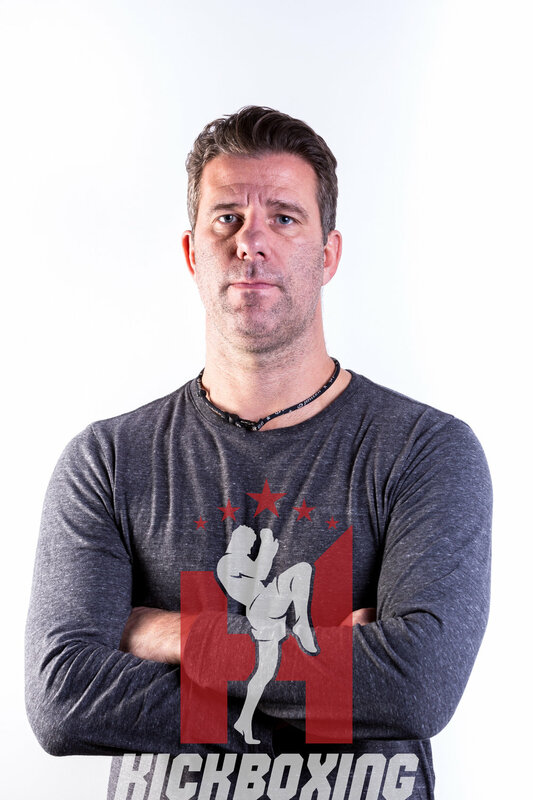 Since his professional competition, Henri Hooft has become perhaps the most sought after stand up, kickboxing, and Thai boxing coach in the world. Former and current champions under his tutelage include Tyrone Spong, Peter Aerts, Ernesto Hoost, & Remy Bonjasky. Henri then went on to become the head stand-up coach of The Blackzilians, a team of professional mixed martial artists. The Blackzilians are among the world’s premier fight camps for UFC fighters. Henri’s current roster of MMA students include Rashad Evans, Vitor Belfort, Jake Shields, Eddie Alvarez, Anthony Johnson, Michael Johnson, Matt Mitrione, Tyrone Spong, Abel Trujillo and many others. Currently, Henri is teaching his HKickboxing system at Combat Club in Boynton Beach, FL. Henri's unique style of kickboxing and strategy continue to keep him in high demand for professional athletes whose careers depend on being the best. On any weekend Henri can be seen coaching from the corner at UFC and kickboxing events from Las Vegas to Rio de Janeiro to Macao…Or at a gym near you.